Standing outside my control room looking towards Mark's control room. Standing in the middle of the room, looking toward the back wall. My control room on the left, drum booth on the right. These pictures were taking about 4 days ago and show that the first set of walls are complete. That first wall is made of two layers of quiet rock, soundboard, Green Glue, and blown-in foam. If you look at the top pic, you'll see a metal stud on the ground. That is the stud for the second wall, which will be up by this Thursday. Once that wall is up, the contractors move to our other space to start building the practice spaces. Meanwhile, we mop the floors, meet with the electrician, await all of our doors and windows and then start to wire this joint up! Things have taken a little longer than we'd all hoped but the project is almost complete and it's absolutely breath-taking. We have approx. 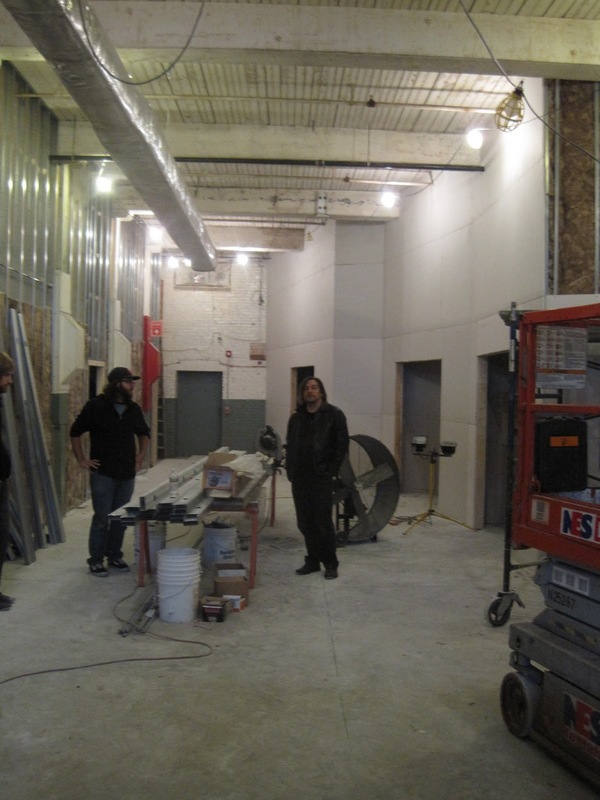 1200 sq ft. of open playing space with an addition drum room (which is as big as some studio's live rooms! ), and two dead iso rooms. Each of us has our own iso room build outside of our control rooms to allow for simultaneous recordings. Rooms are starting to display their own sounds, too. Standing in the main live room, outside of my control room is very quiet and tight-sounding. As you walk toward Mark's room the sound starts to open up and fill the room up. We have so many options and such an amazing place to make records. Mark and I will spend the next two weeks building clouds and diffusion panels, then we move in and start wiring. 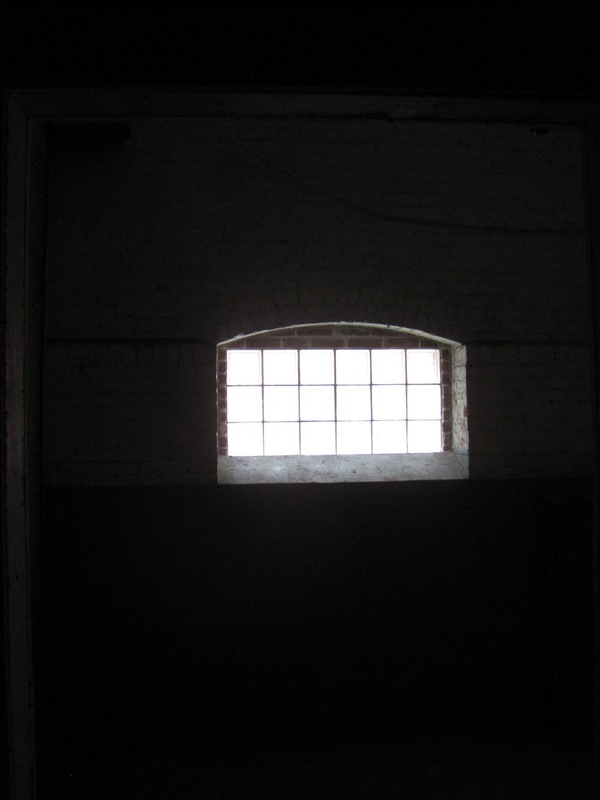 Another exciting thing to announce is that we've already started to book sessions in this space. It's been difficult because we're trying to plan a lot but it's definitely the most exciting part of this whole process.. the reason we're doing it, in fact! Stay tuned for info on our open-house! The brighter side of transformers! This past weekend I was able to make it to the 2011 AES convention in NYC. I was able to check out a bunch of new equipment from companies new and old and catch up with some folks I hadn't seen in a long time. Overall, a positive experience and I'll be going again, for sure! One of my favorite new pieces of gear is Moog's new 500-series contribution, The Ladder. This piece actually surprised the hell out of me! It is way more useful than I would have guessed. It's basically an envelop filter that is dynamically triggered but frequency-adjustable. So for example, if I have a very boomy and "hummy" sounding floor tom track and I don't have time to cut out the extra crud in Pro Tools, I can patch this unit in and get rid of the rumble. Anytime the floor tom is actually being used, the envelope closes and it's back to the regular healthy floor tom. If my bottom snare track is being triggered by the bass drum hits, I can use this to minimize the buzz I'm getting from those bass drum hits and still get healthy fundamentals. The rep also showed me how it could work on a thin or 'fizzy' distorted guitar track and WOW! I couldn't believe how it thickened that track up without the use of EQ, even. I spent some quality time with the A-Designs Nail compressor and locked into some really fun sounds. It has a lot of options but my favorite was a pretty straight forward full-band compression. It went from smooth to pumping/breathing fun! Latch Lake's microphone stands looked quite nice! They had very few moving parts and were very sturdy! I've been eyeing Atlas stands lately but these seem very trustworthy and the price is right! Lindell is a company I'd heard of but didn't know much about. I noticed them because I wanted to check out some of the Golden Age Audio products. Let's just say that Lindell won! It's a totally different type of product. More high-end. A higher quality build. The 17x compressor just sounded awesome. It almost reminded me of an 1176 at it's nastiest with the attack/release quickness of a Compex. Lot's fun. There were lots of pieces I wanted to check out but didn't have the time due to big crowds and long lines.. but my guess is that I didn't miss much. I've mentioned Bunny's A Swine here before. It's fairly obvious that I really love this band. I was a fan before I got to work with them and now that we've done two releases together, seeing their evolution, I feel extremely lucky. 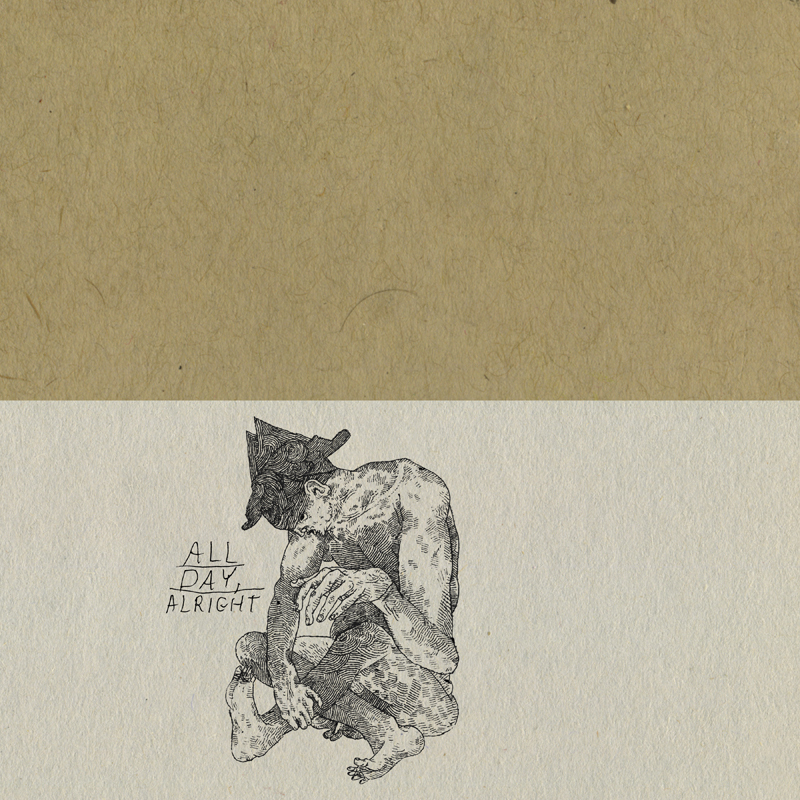 Yesterday was the official release date for their second full length "All Day, Alright" on Candace's new and excellent Tiny Radars record label. We recorded the basics at Q Division and overdubbed/mixed at my old space in Eastworks. I think it sounds really great and to listen to the actual record is where it shines! Bunny's A Swine will be celebrating the release of this record tomorrow night at the Sierra Grill with more excellent bands..
Graph - This trio is one of the area's finest and you should definitely check them out, if you haven't already. If you have seen them, then I suggest checking in! They just released a 7" on Tiny Radars. Side A was recorded/mixed by me and Side B was mixed by me! Quilty - This is a band I know very little about. I visited their blog when I saw them on the bill and was floored. From the songs on their blog, I can only assume their live show will deliver. Word has it that one of the members has relocated from NYC to Northampton. I guess that means we'll be seeing more Quilty around here. YAY! Support local bands, venues, and record labels on Thursday night at the Sierra Grill! Here is a link to Neil Young's documentary short of Fat Worm of Error's trip to Bank Row Recording. It documents the making of their "Broods" LP. I know a lot of you have seen it but it's worth a second watch. He really captured the vibe, here. Dig it! 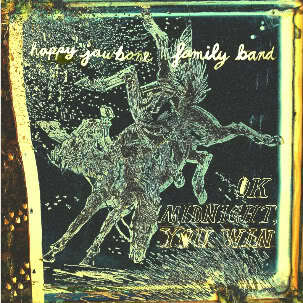 The Happy Jawbone Family Band and I spent part of winter/spring 2011 working on their new record: OK Midnight, You Win. Ted Lee (Feeding Tube) emailed me last November about recording this Brattleboro quintet at the "Festival Organ Space" in Easthampton. I was completely confused by this request, having no idea where or what the Festival Organ was. Turns out it was Ted's (along with Sunburned Hand of the Man and Fat Worm of Error) practice space. I put together a input/gear list, loaded up my car, and set up shop for two days in bitter-cold early January for a nice basics session. Once the basics were cut, the vocals were down, and all of the primary instruments were taken care of, I moved the session over to my temporary space at Eastworks. Luke (singer, songwriter, guitarist) and I began recording all of the crazy stuff: violin, trumpet, organ, percussion, etc. In March we mixed, and by April, the record was mastered by Carl Saff. Today is the official release date for this record and is being celebrated with a great lineup of bands at Feeding Tube Records in Northampton, MA. I was able to work on many great records in 2011 and OK Midnight, You Win is one that I keep listening to! The show starts at 10 pm and will no doubt be a great night! If you can't make it out, buy the records here. The past five days have been very eventful. It started on Thursday when I began a three day session with Last Builders of Empire. 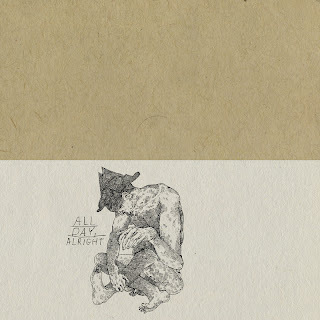 This band from eastern mass plays a very dynamic brand of post rock. The tracks were recorded by Elio Deluca at Medford, MA's Soul Shop. I loaded up and dialed in on Thursday and we spend Friday and Saturday combing through the songs and fine-tuning them. I decided that mixing these songs OTB (out of the box) was the best plan so I fired up the racks and started patching. I kept all of the faders at unity and used Pro Tools to set levels. All of the automation was done in Pro Tools so recall isn't entirely impossible. It was really nice to keep this record analog-minded through the mixing process. We definitely had some fun with compression, fuzz, and of course, the Memory Man! The record sounds fantastic and the band is going to get it out there as soon as possible (mastering session is booked). As soon as the last mix was printed, the CDs were burned, and the band was safely on their was back east, I began the moving process. I am officially moved out of my space at Eastworks, where I set up to mix, track, and overdub for the past 8 months. I brought my console, tape machine, and patchbay to the new space where it will be stored till it's time to move in. All of the rest of my gear is at home for cleaning, repairing, and prepping for the big move. In the meantime I'm setup for mixing at my house. If anyone out there needs any mixing services, please reach out. I'm available here and for hire in the studio of your choosing. Mark Miller met me at the new space while moving in on Sunday. We took a coupla pics of us and the new space.. 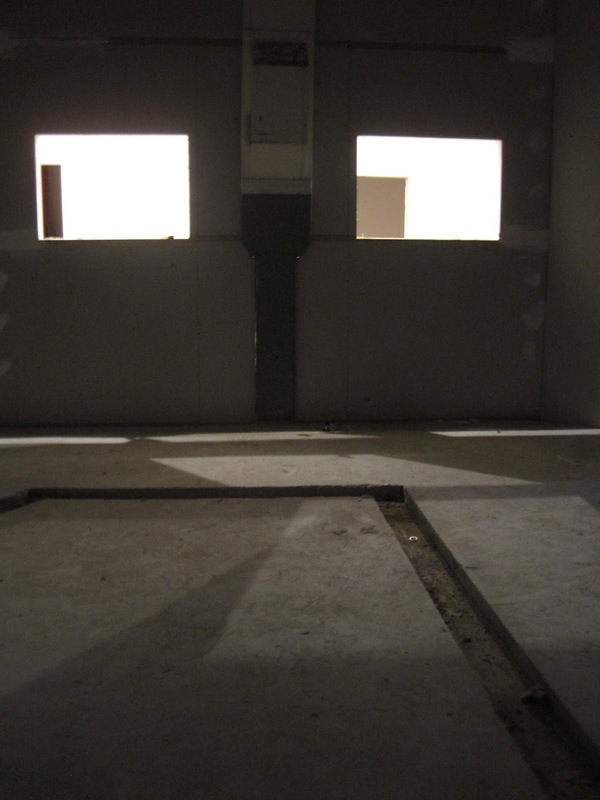 Standing in the live room, which is really starting to take shape! Iso rooms and drum room on the right. Mark and I on the lift! A shot from inside my new control room. Two more walls are to be added and buttoned up. Very exciting! Standing inside my iso room. Very excited about this glass brick! Every time I've come to the new space in the past two weeks, it's changed drastically. Things are taking shape and I can't tell you how excited I am to get in and start cutting basics. If anyone wants a tour during construction, I'm happy to meet you down there and show you around the studios and practice spaces.